There’s a lot to love about Bellafill! And now there is even more to love. For a limited time you can save up to $350 on your Bellafill treatment! While Bellafill results are long lasting, these rebates are only available for a limited time! The rebate is redeemable in office so you don’t have to enroll ahead of time –We’ll take care of that for you. If you can’t make it to the event contact us by phone at (952)922-2345 or e-mail to schedule…but hurry rebates are limited! There’s an emergency need for blood -patients are counting on you. Please make an appointment to donate with us at our upcoming drive today. It’s something you can spare… yet, there is still not enough to go around. Donating blood regularly can significantly reduce the risk of heart disease (especially in men and postmenopausal women). According to a study published in the American Journal of Epidemiology, those who donate bi-yearly were 88% less likely to suffer a heart attack due to the lowering of iron levels in the body. You’ll have better blood flow. Diets high in sugar, smoking, emotional stress, anxiety, high cholesterol, and high uric acid levels make your blood thick and slow moving (hypercoagulable). This increases your risk of having a blood clot or stroke. Hypercoagulable blood contributes to inflammation because your blood can’t flow well and oxygen cannot get to your tissues. Repeated blood donations can help your blood to flow better resulting in less blockage. Free Health Check-Up. A series of health check-ups are performed on the donor totally free of cost. This will be of great benefit to you. You will come to know of any blood pressure abnormalities. Further, after the blood is donated, the blood and blood products that are derived from them are screened for certain infections. You can choose to be informed if they find any abnormality in those screening tests. Frequent blood donations are good free health check-ups that will help you stay healthy. Burns Calories. Believe it or not, donating blood increases you calorie burn! It is estimated that one pint of donated blood results in about 650 calories burned. First time blood donors? Check the American Red Cross to know the entire procedure of donating blood. And you can pass this message on and motivate others too. We hope you’ll join us for our October 3rd blood drive. Stop in the clinic afterwards and receive 10% off your entire purchase of supplements or skincare products. 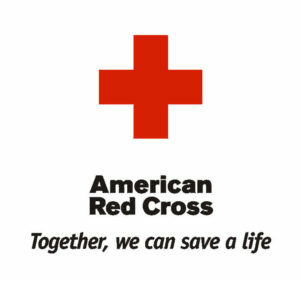 We’ve teamed up again with the American Red Cross Blood Drive to Save Lives! Join us for our 6th Blood Drive located in our building, the Edina Business Plaza on France Avenue in Edina. Our goal is to collect 50 pints of blood. This event is open to everyone – patients, family members, friends, etc! Please help us spread the word and join us on October 4th to donate blood and help us reach our goal! Donating got easier with RapidPass! RapidPass allows you to start the blood donation process from the comfort of your home or office and save time at the donation site. The process is simple, complete the interview questions online, then print your RapidPass and bring it with you or show it on your mobile device. Click here for more info! Patients can’t take a break from needing lifesaving blood. The need is constant! The Red Cross has a unique responsibility to help ensure blood is available whenever and wherever it is needed. 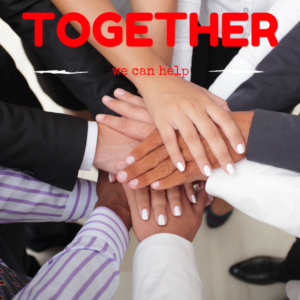 A need remains for donors with types O negative, A negative and B negative blood. Please roll up a sleeve and donate with us! Your donation may help give hospital patients in need the chance to spend more time with loved ones. Innovative Directions in Health has achieved bella Diamond status, placing our clinic among the top 1% of Bellafill providers in the United States. Bellafill is a natural, 5 Year FDA approved wrinkle filler with results that last and actually improve over time. This filler corrects smile lines, wrinkles, acne scars, volume restoration and more. Learn about the longest lasting collagen infused filler ** Bellafill** and discover breakthrough technology in Regenica skincare. Raffle! 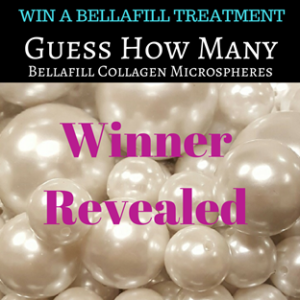 Win a Bellafill Treatment ($800 value), Regenica Skincare & More!! Dr. Sinda will also be at the event! This will be a great opportunity to meet him and to get some of your questions answered about bio-identical hormones and preventive medicine. 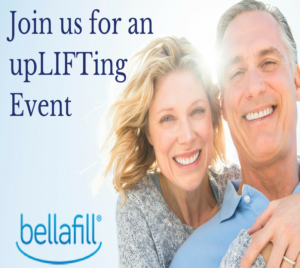 RSVP today to be entered to WIN a Bellafill Syringe! What is Mindful Eating? â€“ Am I Hungry? 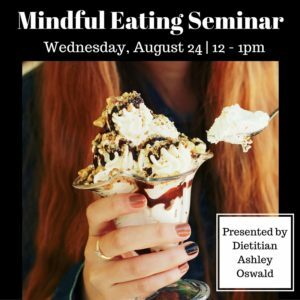 Lets talk about mindful eating! Join us and our dietitian Ashley Oswald Wednesday, August 24th from 12 – 1pm. * Learn how to differentiate mindful eating from mindless eating. * Discover how hunger differs from appetite. * Obtain useful tools to help manage appetite as well as hunger, including how to overcome food cravings.